Word is now coming out that a letter has been discovered that was written to St. Paul, in response to his letter to the churches in Galatia. Here is an English translation. Parodios, a servant of the Lord Jesus Christ, to our brother Paulos. Our church recently received a copy of the letter that you sent to the church of Galatia. We hope you will not mind hearing our humble concerns. In the past we have noticed you are more interested in confronting people rather than conversing with them, but we hope you will receive this letter as an invitation to further dialogue. First of all, we are uncomfortable with your tone throughout the correspondence. We know it is difficult sometimes to discern tone of voice from written communication, but you should keep this in mind as well. One could gather from your careless use of words that you are losing your temper. You certainly sound angry. This is unbecoming a spokesperson for the faith. As you say yourself, one of the manifest fruit of God’s Spirit is gentleness. Aren’t you being a hypocrite to preach grace but not show it to our Judaizer brothers? They may not worship as you do or emphasize the same teachings you do, but our Lord has “sheep not of this fold,” and there is certainly room within the broader Way for these brothers. Their methodology may differ from yours, but certainly their hearts are in the right place. You yourself know that our Lord required personal contact when we have a grievance against another. Have you personally contacted any of these men? Have you sat down to reason with them personally? Have you issued a personal invitation? Some of them may even reconsider their viewpoints if you had taken a different tack. We know that your position is likely that public teaching is open to public criticism, but we can do better than what is expected, can’t we? In one portion of your letter, you indicate you don’t even know these persons! “Whoever he is,” you write. Our dear Paulos, how can you rightly criticize them when you don’t know them? It’s clear you haven’t even read their material, because you never quote them. We implore you to see that they are plainly within the tradition of Moses and of the Prophets. They understand the context of the covenant in ways you appear deaf to. Similarly, we find your tone and resorting to harsh language not in keeping with the love of Christ. “Foolish Galatians.” “Let him be accursed.” “Emasculate themselves.” Really? Can you not hear yourself? You think this is Christlike? Does this sound like something our Lord would say? Do you think this flippant, outrageous, personal, vindictive manner of speech speaks well of God’s love or the church? It is clear you are taking this way too personally. Indeed, you ask the Galatians if you are now their enemy. Does everything have to be so black and white to you? 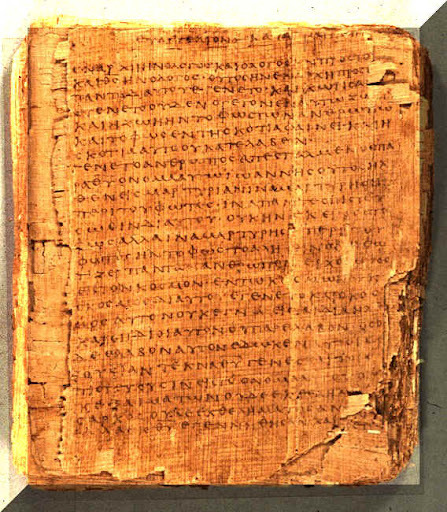 Paulos, what will unbelievers think when they read this letter? Do you think this will commend the gospel to them? This kind of harsh language just makes us look like a bunch of angry people. They see we can’t even love each other, and over what? Circumcision? This is a terrible advertisement for God’s love to an unbelieving world. You have given plenty of people permission now to disregard Jesus, if this is what his mouthpieces sound like. We hope you will reconsider your approach. We know that you catch much more flies with honey than with vinegar. We are concerned that your ill-worded letter signals a divisiveness that threatens to fracture the church. We beg you to reconsider how important these minor issues are, and how in the future you may speak in ways that better reflect God’s love. The grace —and the love!— of our Lord Jesus Christ be with your spirit, brother. The foregoing was posted on Rev. Paul T. McCain's blog, Cyberbrethren, last week. When we read it, we thought it appropriate as an object of discussion on our own blog, and sought permission to cross-post his blog entry on Intrepid Lutherans. Of course, this piece is satire. We feel compelled to state as much before the reader comments, given that a number of the Cyberbrethren commenters didn't get it. But what of these criticisms of St. Paul? Face to face communication is required in all circumstances? Really? Is St. Paul's position that "public teaching is open to public criticism" at variance with the teaching of Christ? Really? 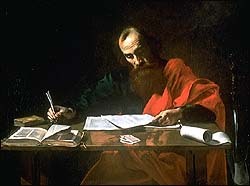 Is St. Paul not being Christlike when he displays indignance in the face of attacks on the Gospel and pure doctrine? Really? Or, are those who overshadow references like 1 Tim. 5:20 with references like Mt. 18:15, rather than balancing them, in fact pitting Scripture against itself? Wouldn't the natural result of this be a criticism of St. Paul's use of language in the book of Galatians? Or criticism of his "naming of names" in I Ti. 1:19-20, II Ti. 4:14-15 and elsewhere, when, in letters meant to be read in public, he excoriates by name members of the congregation as false brothers? Or even St. John – the "Apostle of Love" – who in III John likewise names Diotrephes, an apparently influential figure in the congregation, as a false teacher? Would the result of such an imbalanced understanding of Scripture's testimony be a confusion of the two Tables of the Law, of placing temporal concerns for one's neighbor ahead of God and His Word? I do not believe for a second that our Lord Jesus met personally and privately with each and every member of the Pharisee sect before He publicly called them all "a brood of vipers!" If one publicly talks like a heretic, publicly acts like a heretic, and publicly defends other heretics, then that one can and should be publicly called out as a heretic. It's just as simple as that. does the letter say anything pertinent to saving the WELS from the collective incompetence that has allowed the synod to be inundated with false doctrine? The answer depends on who reads the letter, understands it, and then takes future action based on the point it makes. Rev. Spencer: "If one publicly talks like a heretic, publicly acts like a heretic, and publicly defends other heretics, then that one can and should be publicly called out as a heretic." I agree with the caveat that we use the classic definition of heretic. “For one to be properly called a heretic, it is required (1) that he be a person received by the Sacrament of Baptism into the visible church; (2) that he err in faith …; (3) that the error conflict directly with the very foundation of faith; (4) that to the error be added malice and obstinacy, in which he stubbornly defends his error, though repeatedly admonished; (5) that he stir up dissensions and scandals in the church and rend its unity." J. Gerhard, Loci theologici, XIII, pp. 222–222. All heretics are false teachers but not all false teachers can properly be called heretics. In case you're interested, this letter was featured on the radio program Wretched. This is a show hosted by former WELS member Todd Friel. 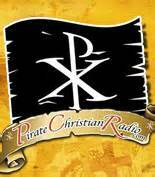 It was read on the air by his (current independant Lutheran)co-host Tony Verkinnes.